Steamed broccoli - I may have cooked this too much as it went everywhere, but this could have been down to the stems were not long enough for him to hold too. I'm going to try with sprouting broccoli next to see if that works better. As his very first taste he was intrigued. Galia Melon - He loved this and cried when we ran out of it. All the same as day 1 - no real change. Porridge - Ill admit I did spoon feed him this although it was still very messy as his hands kept going into his mouth. Steamed sweet potato - He chomped away on this but it spat a lot out too. Porridge - this time I filled the spoon and gave it to him - incredibly messy but he loved playing with it. 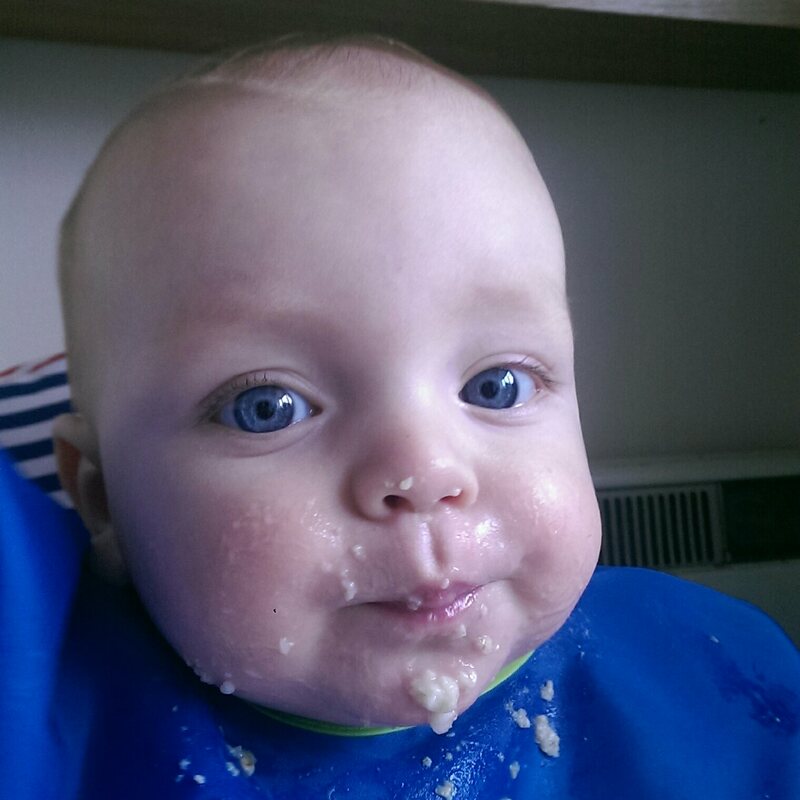 There's definitely no point dressing your baby before porridge! Overall so far its been very messy and a little bit scary but I can see that he is learning a lot and enjoying eating immensely. A lot of the food was spat out after being gnawed, often a few minutes after he finished eating which was a great reminder to keep him upright for a while after eating. After a few days of using baby wipes to clean him Ive decided to keep a face cloth in the kitchen to wipe him down. Despite lots of warning from friends the gagging is very unnerving but doesn't seem to bother him at all. There has been no change at all to his milk feeds so far.